When viewing this site on mobile, the navigation bars appears to automatically be "open" and is hiding the header image. How do I show the navigation bar at top, but make users click on it to expand it? If problem still persist, please send us login details so I can check issue further. Thanks for the details. I logged and added some custom css to fix issue there. The menu looks great! Thanks! 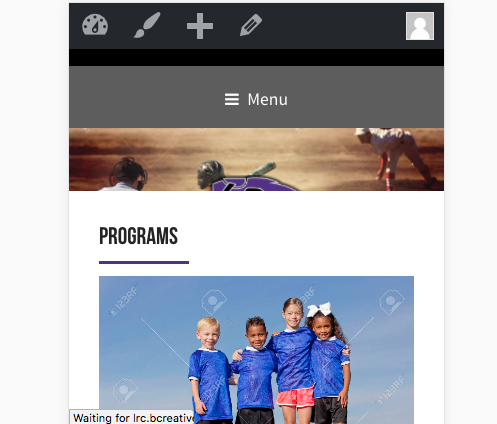 Can you help me figure out how to get the whole header image to show on mobile? I thought the menu was the problem, but apparently that wasn't. It seems you are using slider and you can create/adjust slider for responsive settings.